A visit to iconic sites are a thrill...we have seen them in movies, magazines, the news and there is something wondrous about being there in person! We do need to keep in mind, however, that many of them are in a constant state of repair and restoration. Such is the case here in Rome. 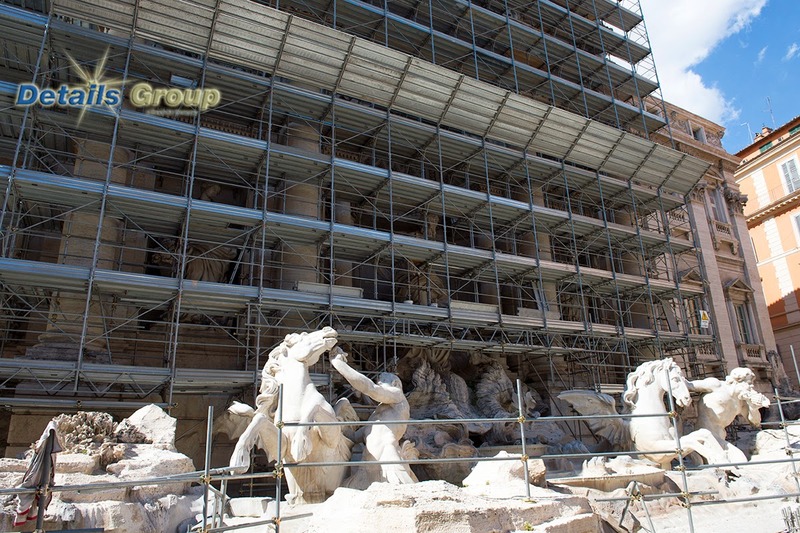 The Trevi Fountain is undergoing a major restoration and was almost completely concealed in scaffolding And In fact was drained of water. It is still a very popular site so they have come up with a very efficient system for those who still want to enjoy this landmark. 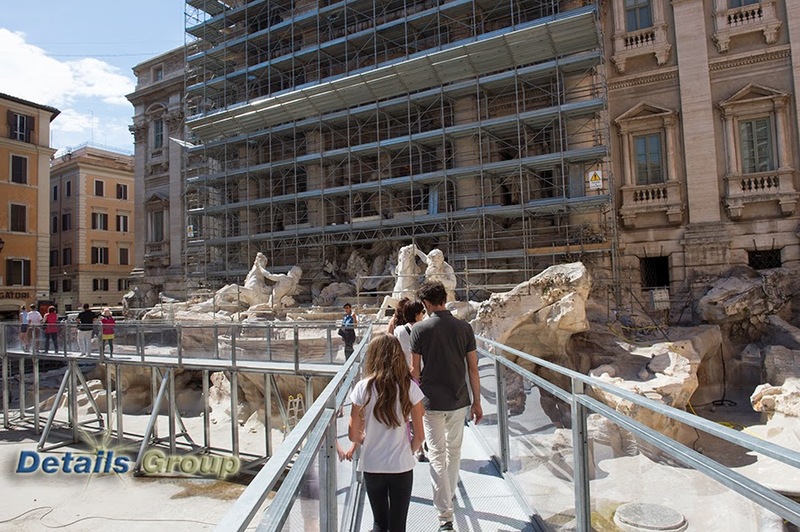 A scaffold walkway goes over the work site - one way only - each end guarded by a Roman policeman who makes sure everyone is going the right way and another one in the middle who keeps people from stopping and throwing coins in the dry construction zone below. Maybe the construction workers don't wear hard hats here! Whatever...there are still people sneaking their coins in...maybe they should encourage people to throw in coins so they can hire more people to get the job done faster! If sites like this, whatever city you visit, are important to you, then make sure to check before you book, so you aren't disappointed. 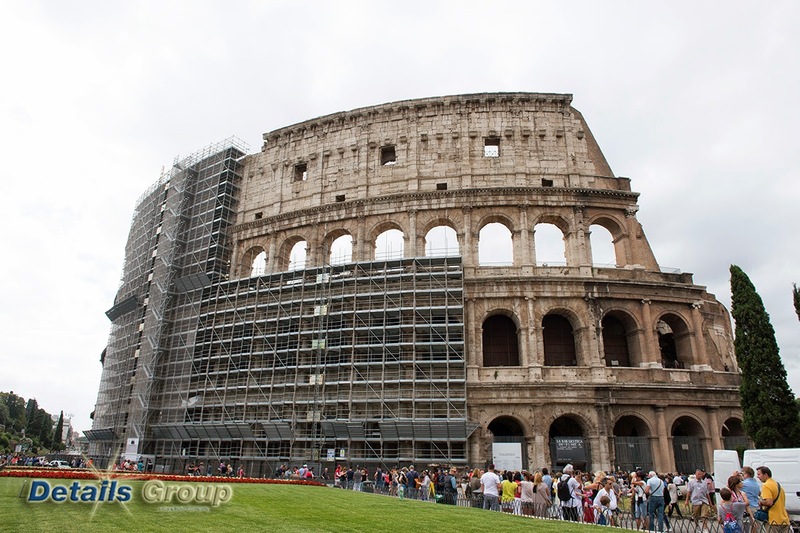 This city is much more than the tourist sites though, Rome is amazing! Everywhere you turn, you see something special. And don't forget to look up to the rooftops to see all the beautiful details in the architecture.